Fill in your details below and we will let you know within 24 hours if we can get Roll Player to you with haste! Mighty heroes don't just appear out of thin air -- you must create them! Race, class, alignment, skills, traits, and equipment are all elements of the perfect hero, who is ready to take on all opposition in the quest for glory and riches. 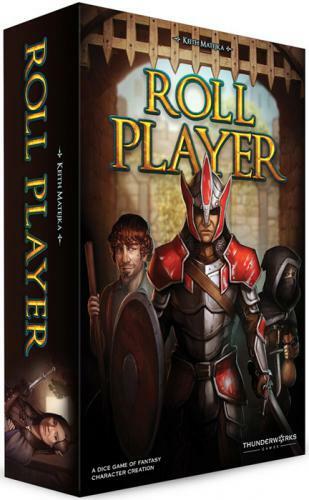 In Roll Player, you will compete to create the greatest fantasy adventurer who has ever lived, preparing your character to embark on an epic quest. Roll and draft dice to build up your character's attributes. Purchase weapons and armor to outfit your hero. Train to gain skills and discover your hero's traits to prepare them for their journey. Earn Reputation Stars by constructing the perfect character. The player with the greatest Reputation wins the game and will surely triumph over whatever nefarious plot lies ahead!